Yay, it’s officially summer! 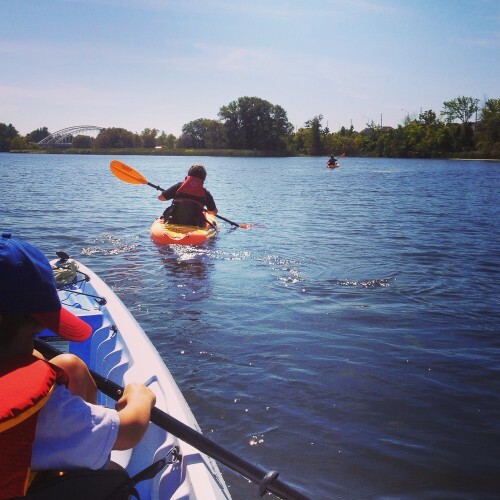 I’ve got a short list of five great activities I’d like to do this summer with the boys, and I thought I’d share in case you needed a little inspiration for planning your Ottawa family fun in the next couple of weeks. It’s a sort of a Bucket List of Ottawa Family Fun. If we get most of these checked off, it will have been a summer of awesome adventures. And surprisingly, most of these are things we’ve never tried before. I loved this idea from the first time I heard about it, and I loved it even more when I got discounted coupons through Groupon earlier this summer. “Visit Camp Fortune for an adventurous zip lining and aerial park excursion. Glide through the trees from stand to stand through one of two courses available. Trekking through the ropes course will include climbing ladders and bridges, while enjoying the beautiful scenery.” Fun, right? I’ve been meaning to do this for years, if not decades. It’s surprising how few people know about the amazing balanced rock sculptures created by John Ceprano at the Remic rapids on the Ottawa River. I think the boys will be fascinated by them. We rented kayaks at the end of last summer at Chapman Mills, and despite the fact that one of our party went swimming unexpectedly, we still had a good time. This may be the summer we try stand-up paddling! I know there isn’t a lot to “learn” with Geocaching, but despite having it on my radar for years and knowing the boys would love the idea of treasure hunting, I’ve still never actually gotten started with this fun family activity. I finally downloaded the Geocaching app to my iPhone this week and was amazed by the sheer number of caches even in our immediate neighbourhood. This is another one I’ve had on my radar for years, and we really need to get out there while Lucas is still in his dino-fascinated phase. Prehistoric World is a small park near Morrisburg with meandering paths featuring over 50 life-sized and apparently mostly scientifically accurate dinosaur sculptures. This would be a great side trip to pair with our other favourite Morrisburg adventure, McHaffie’s flea market. If you’re looking for more inspiration, I’ve got a dedicated category full of blog posts about fun family adventures in Ottawa. What’s on YOUR Ottawa summer fun to-do list? If you go zip-lining at Caverne lafleche you can hit the caves when done zip lining. Awesome spot for picnicking and enjoying the day. I highly recommend combining canoeing and geocaching. I’ve done it a few times and it’s so much fun!